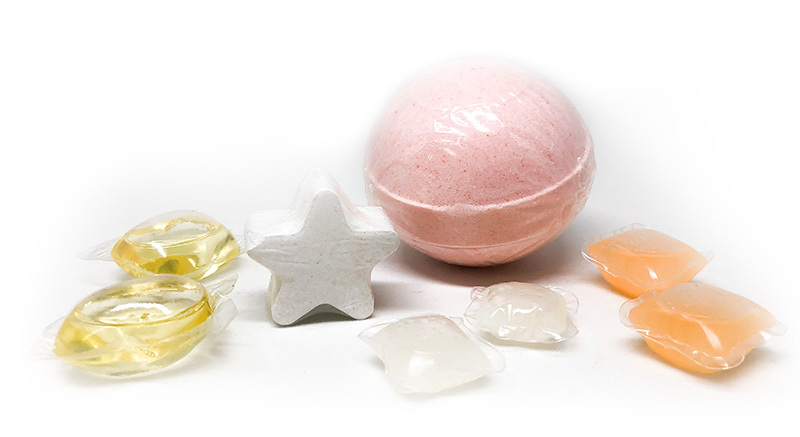 Transform your personal care and cosmetics products by packaging them in film that is formulated using natural and biodegradable ingredients. A quick splash of water can transform a single-use pouch or refillable bottle into a hand wash, shampoo, conditioner or shaving cream. Packaging personal care products for hotel amenities in MonoSol’s disappearing film can eliminate the need for plastic bottles and wrappers – helping brands improve sustainability and reduce waste.